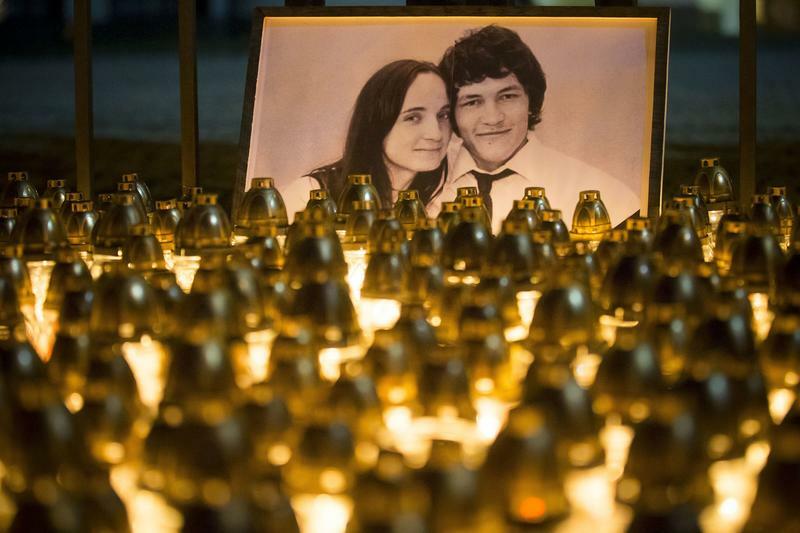 Candles and a photo placed in memory of murdered Slovakian journalist Jan Kuciak and his girlfriend Martina Kusnirova in Bratislava, Slovakia. BROOKE GLADSTONE: The investigations into the Trump administration this year prove that growing mistrust and antagonism toward the press will not hamper the work. Here, worldwide, Reporters Without Borders has tracked 80 journalists killed this year, 348 behind bars, countless stories untold. 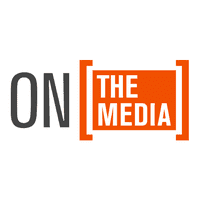 FEMALE CORRESPONDENT: I was working at my desk when I heard the shots and I looked at Anthony, the intern, and I said, 'I'm getting out of here. I grab my purse and I went to the back door.' It was locked. What happened here was a very calculated. BROOKE GLADSTONE: Journalist Selene San Felice survived the Capital Gazette massacre in Annapolis last summer. The gunmen enraged by the paper's past coverage of his crimes retaliated by taking the lives of five men and women. BROOKE GLADSTONE: The shooting gave Americans a taste of what journalists increasingly navigate abroad. In Mexico, nine were murdered for tracking drug cartels and local corruption–in Syria 11, Afghanistan 15. A 24 year old Palestinian, Ahmad Abu Hussein, was shot in the gut while covering demonstrations in Gaza this spring. BROOKE GLADSTONE: It's impossible to predict when or if the risks journalists take to bear witness will have an impact. BROOKE GLADSTONE: The tragic truth is that sometimes it's their deaths that changed things. MALE CORRESPONDENT: Slovakia, where the government is on the brink of collapse amid a crisis triggered by the killing of a young journalist. FEMALE CORRESPONDENT: This is Ján Kuciak and his girlfriend Martina Kusnirova. Now they were both found with single gunshot wounds to their heads. BROOKE GLADSTONE: The murders sparked the biggest protest in the region since the Velvet Revolution of 1989, forcing the resignation of Slovakia's prime minister Robert Fico and his cabinet. And of course, the grisly murder of reporter Jamal Khashoggi inside the Saudi consulate in Istanbul has shown a harsh light on the wrongs he sought to right. Calling on the Saudi crown prince to end the blood drenched war in Yemen. Neither the crown prince nor the US president took heed but the Congress did. BROOKE GLADSTONE: Powerful people can do terrible things in the dark but committed journalists force us to confront what really matters. We don't spend a lot of time on the show on journalists in peril. We know that they know when they're taking a risk but we owe them. So we're taking this moment to honor their sacrifice.